WHEN THE RENOWNED American industrialist Henry Clay Frick died in 1919, the obituaries didn't exactly overflow with tenderness. Henry Frick was once known as "the meanest man in America." "He was uncompromising," remarked the New York World, and "if at any time he took notice of the broadening tendencies of humanity . . . he gave no proof of it by word or deed." The Lexington (Ky.) Herald set Frick's record against that of his partner in steelmaking, Andrew Carnegie, and found him wanting: "Frick . . . lacked the more human qualities that made Carnegie so beloved." The New York Tribune observed that "the name of Frick was abhorrent to great numbers of his fellow citizens." There was good reason to describe Frick, one of the giants of the Gilded Age, in such caustic terms. He was a notorious strikebreaker — he hired and armed the Pinkerton agents who battled striking employees at the Homestead steel works in Pennsylvania in 1892, a clash in which dozens of men were killed or wounded, and that ultimately required the intervention of 8,000 state militia before order was restored. Frick was also a co-founder of the exclusive fishing and hunting club whose negligent maintenance of the South Fork Dam indirectly caused the apocalyptic Johnstown Flood of 1889. So reviled was Frick in his lifetime that he was called "the most hated man in America." 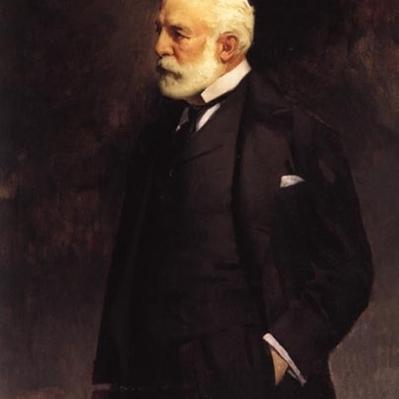 Yet as Grant Smith points out in the Spring issue of Philanthropy magazine, for years Frick quietly supported charities in his native western Pennsylvania. When he died, 80 percent of his $145 million estate was bequeathed to worthy causes. "His beneficiaries included universities, schools, parks, and hospitals," Smith writes. "His signature gift was bequeathing his Manhattan home and remarkable art collection to New York City." The Frick Collection is justly famed as one of the nation's most wonderful art treasures, especially its superb collection of Old Masters and European sculpture. "Thus did a man excoriated in life for ugliness become remembered after death for beauty," remarks Smith. Smith's essay makes a point not well appreciated: You don't have to be a wonderful person to be a wonderful philanthropist. To be sure, those who consistently donate to charity probably are, on the whole, more empathetic and altruistic than the average person. 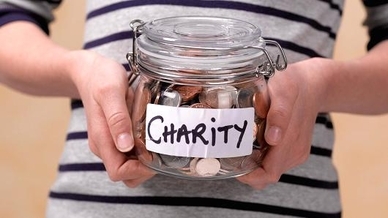 Yet empathy and altruism are not and never have been a prerequisite to charitable giving. Good things can come from bad people. Ennobling works of art have been produced by men and women with gross moral failings: The spectacular music of Richard Wagner and the profound poetry of T. S. Eliot, for example, were created by unregenerate anti-Semites. Some of the most accomplished geniuses in the worlds of business and sports have been world-class jerks: Think of Apple's rude, cruel, and vengeful co-founder Steve Jobs or of Muhammad Ali's abhorrent views on race. People are complex creatures, driven by impulses beautiful and ugly. We are "higher than the beasts, lower than the angels," to quote Ford Madox Ford. For almost all of us, our achievements and failings in this world reflect that all-too-human hodgepodge. This ingrained philanthropic tradition exerts a formidable, if unspoken, pressure on American plutocrats to give vast self-denying gifts. In no other culture do the wealthiest of the wealthy sign pledges to give away most of their riches. One result, as Smith wryly puts it, is that "some of our country's most consequential giving was advanced by an all-star assortment of human train wrecks." It doesn't matter why you give to charity. What matters is that you give. Frick was one of many great givers to charity whose character was anything but charitable. Among others profiled by Smith is Leona Helmsley, a tax cheat and an employer so brutal to subordinates that she was known as "The Queen of Mean." Late in life, though, she began giving away tens of millions of dollars; to date, the charitable trust created by her estate has poured more than $1.1 billion into grants for medical research. John D. MacArthur was a nasty, penny-pinching streetfighter and rampant sexual harasser — but that doesn't diminish the work of the MacArthur Foundation, which was made possible by the fortune he amassed. The moral of these stories is that through philanthropy, people can do good in spite of themselves. That is true for all of us, plutocrat and working stiff alike. It doesn't much matter why you donate. It's nice if you're stirred by native human kindness. But if a guilty conscience or a lust for honor are what drive you, that's fine too. For when all is said and done, your reason for giving is irrelevant. All that really counts is that you gave.